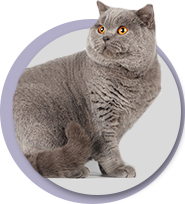 For active persons and those that value time the cat of British Shorthair breed is probably the best choice. It’s easy to take care of these cats, they are not obsessive, and their state of mind is stable and good. Taking care of the fur. It is recommended to brush fur at least once a week with the exception of shedding period that happens once or twice a year. In this period it’s necessary to take a better care of the fur. In order to accelerate shedding process the pet can be simply bathed or cat’s fur can be carefully picked out. 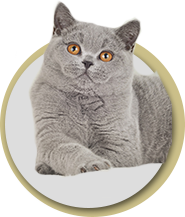 Bathing: The British Shorthair cats are very clean and they do the “self-cleaning” perfectly however sometimes the cat smudges in something hardly washed away and requires bathing. Conventional human washing means and shampoos are unsuitable for this purpose and it is recommended to buy shampoo specifically intended for use in cats in specialized zoo-stores. These shampoos allow for protection of sensitive cat’s skin. Clutch. It is preferred to cut cat’s nails once or twice a month. In case you have never done this before, the best solution for you is to visit the vet who will show you how to shorten nails correctly. This must be done exceptionally carefully. Specific stand is necessary for the sharpening of cat’s nails. The cat gets accustomed to sharpening one’s nails on this stand and does not have to this on your furniture. Ears. 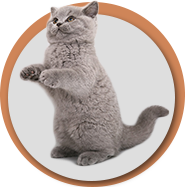 Cat’s ears must be clean, odourless and without any excreta. Cleaning of ears is best done with cotton tampon.